In the dawning light of a late-summer morning, the people of lower Manhattan stand hushed, staring up in disbelief at the Twin Towers. It is August 1974, and a mysterious tightrope walker is running, dancing, leaping between the towers, suspended a quarter mile above the ground. In the streets below, a slew of ordinary lives become extraordinary in bestselling novelist Colum McCann’s stunningly intricate portrait of a city and its people. 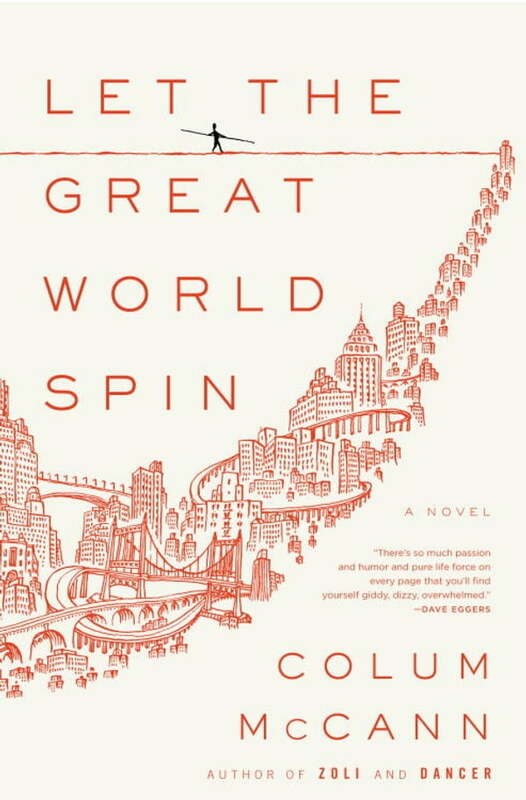 Let the Great World Spin is the critically acclaimed author’s most ambitious novel yet: a dazzlingly rich vision of the pain, loveliness, mystery, and promise of New York City in the 1970s. A sweeping and radical social novel, Let the Great World Spincaptures the spirit of America in a time of transition, extraordinary promise, and, in hindsight, heartbreaking innocence. Hailed as a “fiercely original talent” (San Francisco Chronicle), award-winning novelist McCann has delivered a triumphantly American masterpiece that awakens in us a sense of what the novel can achieve, confront, and even heal. BONUS: This edition includes an excerpt from Colum McCann’s TransAtlantic.